Learn about how massage can treat pain or improve your wellness. We can provide pregnancy massage, labour support, infant massage, hot stone massage, myofascial release and manual lymphatic drainage. Office hours are approximately 9:00 a.m. to 8:00 p.m. Monday to Friday and 8:00 a.m. to 2:00 p.m. Saturdays. Each therapist's hours vary, so please call the office to check availability and book your appointment. DON'T SUFFER WE CAN HELP! Many people regard massage as a luxurious treat, when, in fact, it is a powerful therapeutic tool. Therapy and luxury become one during a massage as the physiological effects, the relaxation response and the human touch combine to influence healing at many levels. We are five registered therapists, each with specialities of our own. MANY COVER MASSAGE THERAPY ASK US HOW! 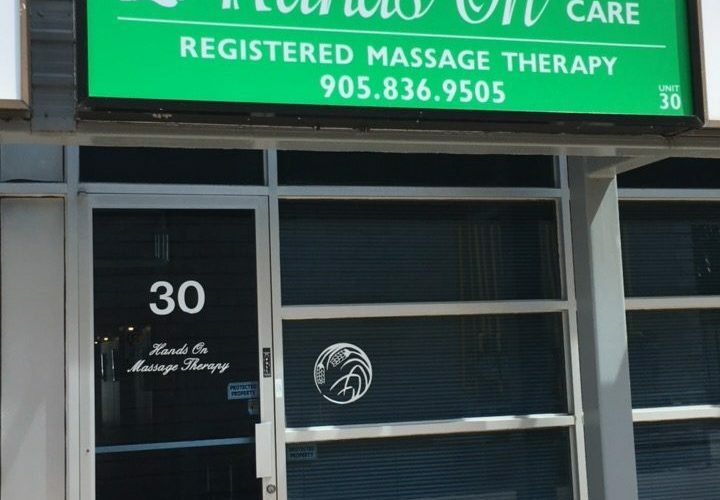 Hands On health care has operated out of the Leslie St. plaza in Newmarket since May of 1994. In October of 2000, Unit 30 was purchased: a new and larger space to better serve our rapidly growing client list. Our clinic rooms are spacious and comfortable. The atmosphere is relaxing and friendly. Gift certificates are always available for that special person. Treat someone to the ultimate gift of relaxation and well-being.